Earlier this month I wrote a post about my ever growing identity crisis on Google Plus. I know I’m not the only person who is having this problem, and I really wish Google would do something about it! Maybe it’s because no one really uses Google Plus. I use it to post content and I get a small amount of traffic from it, but I don’t actually engage with people on there and have discussions and such. In any case, the fact that this massive problem exists is frankly really annoying to me! If Google really wants to get into social, then they need to do a better job with the user experience of their products. The current experience with Google Plus is a great example of how a lot of unnecessary friction is being added into the product. Incase you’re new to this discussion, let me catch you up. In my previous post I outlined how on Google Plus I have multiple accounts based on the various email accounts I have with Google. 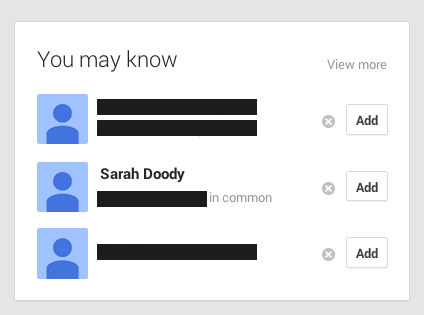 As a result of these multiple email addresses, I have 3 different Google Plus pages for “Sarah Doody”. I wish that I could just merge these accounts or identify the account I want to use for Google Plus. This week however, a bigger problem became clear to me. The problem is that I have people finding the “inactive” versions of me on Google Plus. 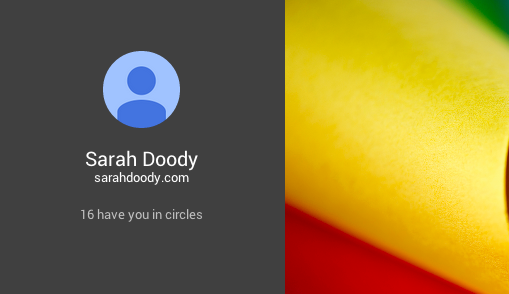 In fact, it seems as though 16 people have added the wrong version of me to their circles on Google Plus. This screenshot is from the top of one of my Google Plus accounts that I don’t use. What’s even more frustrating is that the other day, I accidentally went to Google Plus while logged into my non-primary email address (eg. an email account that I do not want to be my primary Google Plus account) and in the “You May Know” section, it was recommending that I befriend the “real” version of me on Google Plus!!! 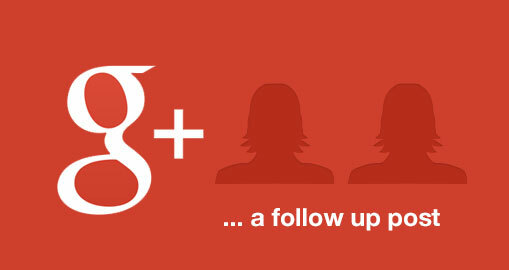 As I said earlier, maybe no one cares about this because the rumors and true and no one is really using Google Plus. But it just is so crazy and frustrating to me that the experience of Google Plus is so broken, yet fixable if a bit of attention to the problems at hand! 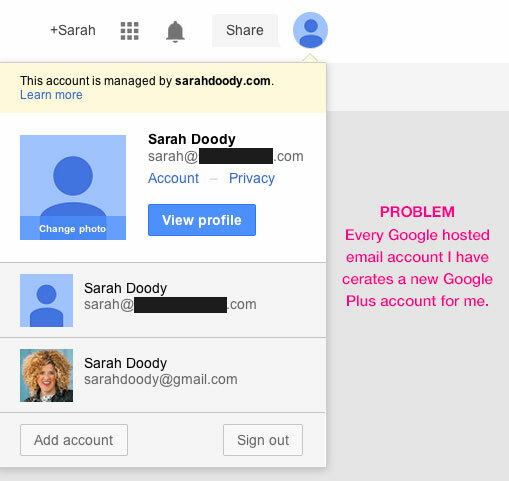 It seems as though every time I have a new email that’s hosted by Google, a new Google Plus account is created for me. This is a problem! If anyone at Google is reading this and wants me to explain the issue and the user experience in more detail, please let me know. I’d be happy to show you what the problem is and walk you through my specific accounts as a sample use case.